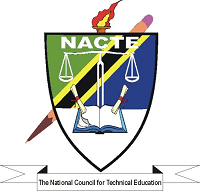 National Council for Technical Education (NACTE) was established by the National Council for Technical Education Act, Cap. 129 (No. 9 of 1997). The Council is a body corporate with a legal mandate of coordinating provision of technical education and training. The Council is also mandated to establish an efficient national qualifications system that will ensure that products from technical institutions are of high quality and respond to changing needs as well as technological innovations in the world. Promote awareness and an understanding of the Council’s mission, objectives, policies and programmes among all stakeholders. C. All applications must be posted by registered mail preferably EMS. D. Applications should reach the addressee latest by the close of business on 4th June 2018. E. The title of the position applied for must be marked on the envelope to make the application valid.